The first, and probably the only thing, that preoccupies the minds of people in jail is how they could get out as quickly as possible. One way this could be achieved legally is by paying bail. Bail is the cash or any other form of property given by a charged or arrested person, to secure his release from jail with the understanding that he will present himself anytime he is needed in the court. If the defendant absconds or does not return to court at the prescribed time, he not only forfeits his property or cash, the court can order his arrest. Bail is usually set by judges. After being charged, a judge can decide if the defendant can be granted indemnity or remanded. However, to prevent overcrowding and to allow people the chance to get out of jail immediately, judges may demand a fixed fee for common crimes. 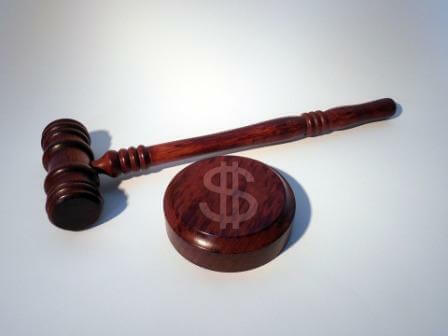 Judges can also opt to lower the usual amount if the defendant is unable to pay the standard amount. The defendant can ask for a reduction in the amount in a special hearing or when he is brought to the court for the first time (arraignment). In certain states, if the defendant cannot afford indemnity, it is legal for him to use the services of a bondsman. The bondsman advances him the bail amount while charging a percentage. When the defendant shows up in court, the bondsman can then collect the amount owed to him/her. Technology has made it possible to design algorithms that can use the suspect’s data to calculate the amount a suspect needs to pay. The algorithm takes into consideration such factors as age and criminal history. It uses all these details to assess the risk of the suspect committing further crimes or running away from law. The constitution of the United States via the Eighth Amendment stipulates that bail amount should not be expensive. It is not meant to be a revenue generating avenue for the government. It should also not be made a punishment onto the defendant as they are presumed innocent until proven guilty. However, judges set impossibly high amounts at times as a means of keeping defendants in detention until they are brought to the court. The Supreme Court has shown that remanding people in detention before trials is technically legal (United States v. Salerno, 481 U.S. 739 (1987)). Before a defendant is granted indemnity, he also has to pledge to submit to a written number of rules. Some of the rules are pretty much straightforward and common. One common rule is pledging not to commit any other crime. Breaching any of the rules will lead to judge revoking the bail. In cases of dispute, defendant may be required to even keep a certain distance from the other party. a waiver of payment on the condition that the defendant agrees to appear in court at any required time (This is known as ‘posting bail on self-recognizance”. This does not involve money or any property). Having been arranged before a court of law or granted bail and having always appeared as required. These kinds of factors may also be considered before the amount is set. If you ever find yourself in jail or needing information about bail, it is quite prudent to employ the expertise of an experienced criminal defense lawyer who understands the workings of the local system. An experienced attorney can be of vital help in bail situations. Consider approaching one.